SIMFEROPOL, August 22. /TASS/. Serbian movie director and musician Emir Kusturica, who arrived in the Crimean capital of Simferopol on Wednesday, said he came to the region to play a gig for the second time because he likes good weather and pretty girls. "I like nice weather and the climate is fine here. The girls here are good-looking and the people are pleasant. This is what a good concert requires," he said. Kusturica added that he supported the Crimean public’s choice to reunite with Russia. "The people want to live in Russia - this is your wish," he said, adding that he is not intimidated by any sanctions. 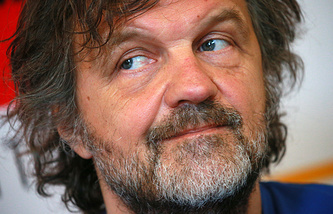 "I feel it’s just swell that Crimea is part of Russia," Kusturica told reporters. "You have a good president," he added. The Serbian filmmaker did not rule out earlier that he might implement his new project in Crimea. While talking to reporters, he confirmed having such plans. "There are very good movie directors here in Russia. They say I will make a movie here. I could. Why not?" Kusturica said. Kusturica and his The No Smoking Orchestra folk rock band will put on a show in Crimea’s Yalta on Wednesday night to promote the band’s new album called Corps Diplomatique. "The show’s set list is a combination of music from my movies and new songs," the filmmaker said. 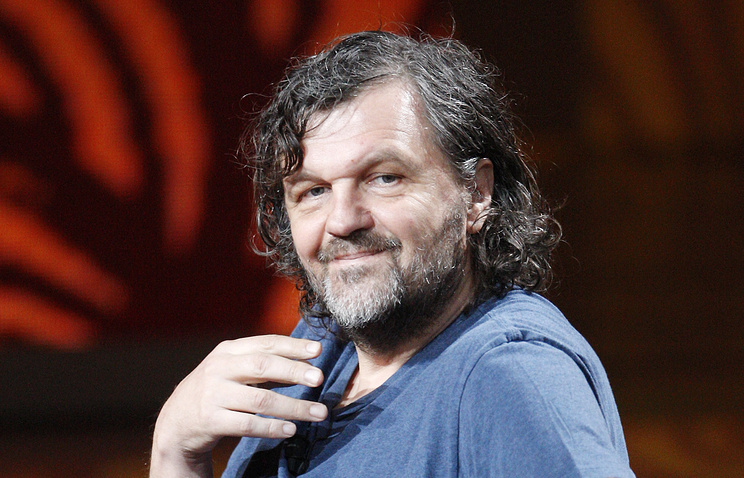 Emir Kusturica has participated in more than 30 pictures as an actor, scriptwriter and film director. His movies include Time of the Gypsies (1988), Arizona Dream (1993), Underground (1995), Black Cat, White Cat (1998), Life Is a Miracle (2004) and On the Milky Road (2016). He has won numerous awards throughout his career at top European film festivals, and in particular, he won two Palme d'Or awards at the Cannes Film Festival. Kusturica’s The No Smoking Orchestra has released over ten albums so far.